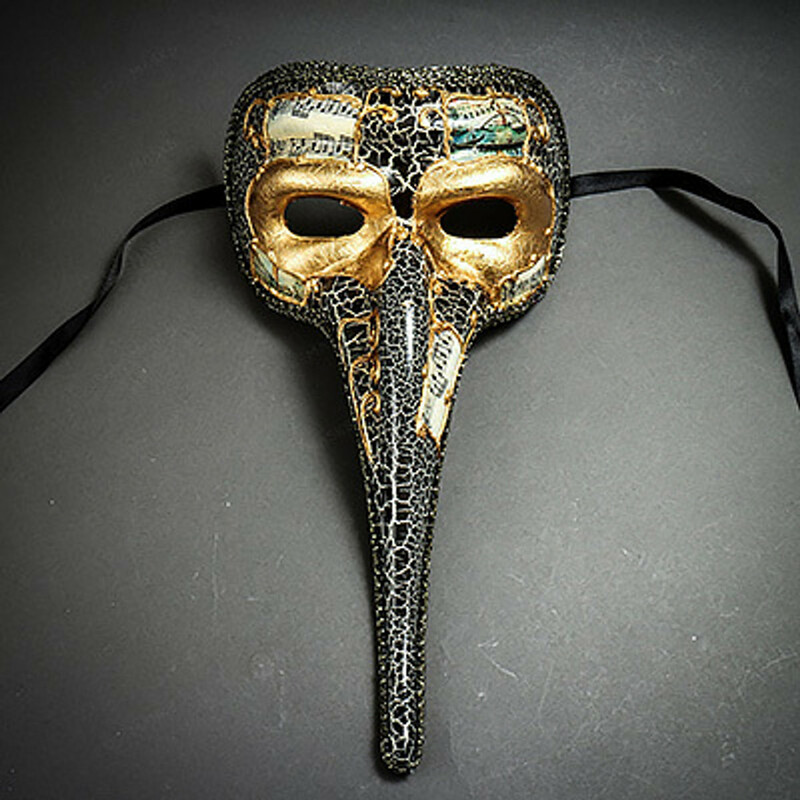 In appearance this mask looks like a long nose, quite much the same as the Abito del medico della peste. In addition, Zanni mask has bulging eyebrows along with a low forehead. Historical perspective should not be overlooked which says the longer the nose of the mask, the sillier the individual is considered. This mask is most appropriate for use by the happy go lucky sort of individuals who wish to be concealing their identity totally.